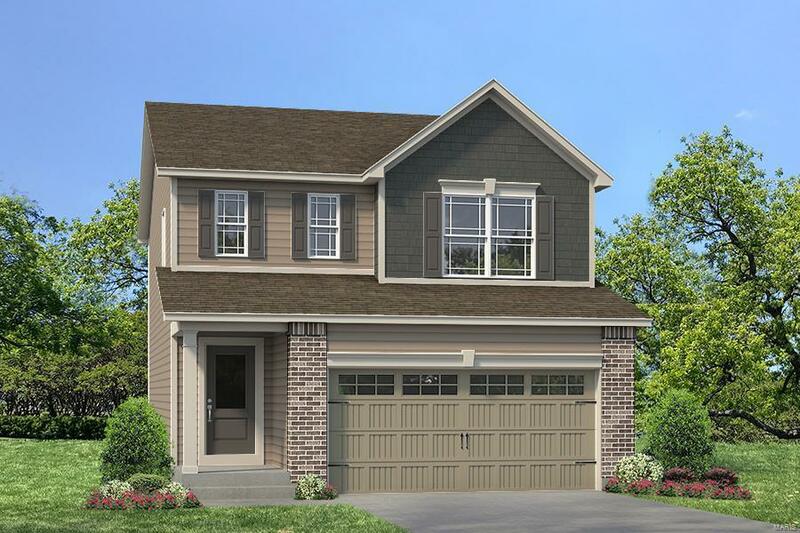 Single Family Homes by Fischer and Frichtel in St. Charles! Enjoy the outstanding features, impressive architecture & quality construction that Fischer and Frichtel is known for. Located near Hwy 370 adjacent to New Town, this fantastic community will feature lakes, playgrounds, gazebos & walking trails. Choose from ranch, 1.5 & 2 story designs ranging from 1,347 - 2,113 s/f. The exteriors are charming w/a light Craftsman flair, carriage style garage door, partial brick facade, shake siding detail, arch shingles, 2 car garage, full yard sod, prof landscape & a lawn irrig system. Features inc open floor plans, stylish Kitchens, Whirlpool appl, spacious Mstr Suites, walk in closets, dbl bowl vanity in the Mstr Bath, R 38 ceiling insul, Trane energy effic furnace, Low E windows, prof termite treatment, Pest Shield control system, 50 gal water htrs & easy access to Hwy 370, restaurants, parks, Hist Main St & Lambert Int. Exterior ground maint services will be provided for a monthly fee.